Preventive maintenance and timely heating repair have many benefits. In addition to ensuring reliable performance and a longer lifespan, they can also help you save on your fuel costs by making your unit more energy-efficient. Before we discuss the benefits of maintenance and repairs, we must first discuss energy efficiency. Every home has an enclosure called the energy envelope, which consists of the attic, the exterior walls and fenestrations, such as entry doors and windows. Ideally, this enclosure should have sufficient insulation and weatherstripping. The less heat that moves from one side to another, the less heat will be lost during cold days as well as gained during hot days. Part of what makes heating systems more efficient is that the energy envelope maintains stable indoor temperatures. With fewer leaks, less output is needed from the furnace once the ideal temperature is reached, requiring less fuel. Combined with maintenance practices like professional air duct cleaning, you can get more heating for the dollar with your furnace. Your furnace circulates warm air throughout your home on a daily basis during cold months and is, therefore, subject to normal wear and tear. When conducted by a certified HVAC technician, preventive maintenance and repairs keep your furnace at peak efficiency. They also let the technician spot potentially problematic conditions, such as loose ductwork and blower motor bearings that require lubrication, and allow your technician to clean up dust, dirt and soot. An efficient furnace gives you more fuel mileage, especially when combined with a well-insulated energy envelope. The furnace AFUE (annual fuel utilization efficiency) rating indicated on the furnace is measured at laboratory conditions. It means your furnace may or may not reach that same efficiency at your home, depending on how well-insulated your home is. However, a well-maintained furnace is more likely to have a higher AFUE rating. 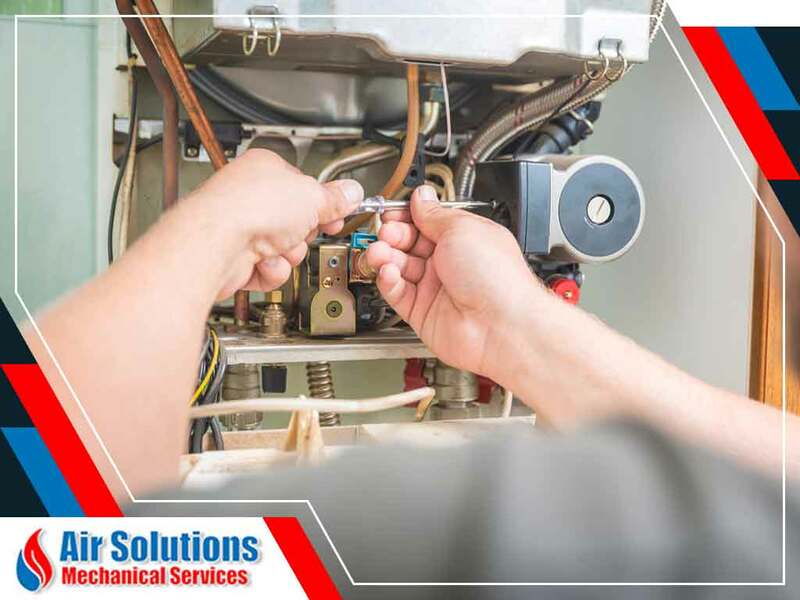 To learn more about our heating and cooling repair services, call Air Solutions Mechanical Services today at (847) 453-3001. You can also fill out our contact form to schedule an appointment. We serve Lake in the Hills, IL, and surrounding areas.